After 40 years in the car business I have been very fortunate to drive in different countries, different terrains, and in a wide variety of cars, from humble hatchbacks, to SUVs and Supercars. 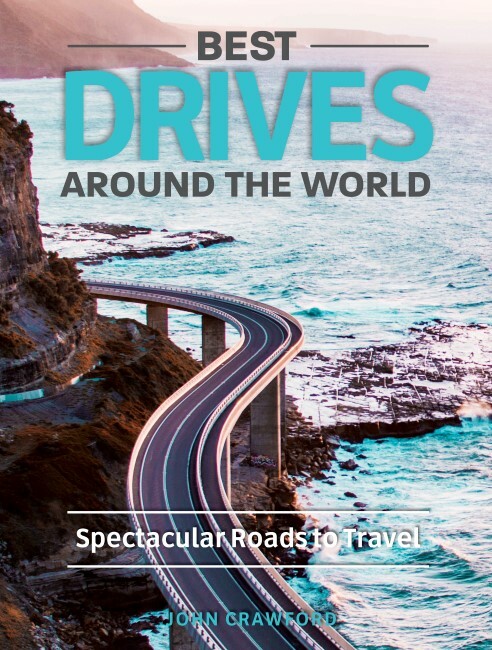 At the request of an Australian publisher and encouragement from my close friend, Paul Gover, I have written a book, called ‘BEST DRIVES’ and it will be published this coming October by New Holland Publishing. I was limited to just 30 BEST DRIVES, but we managed to sneak in one extra story. However, one did not make the cut, so I’m pleased to share it with you now. 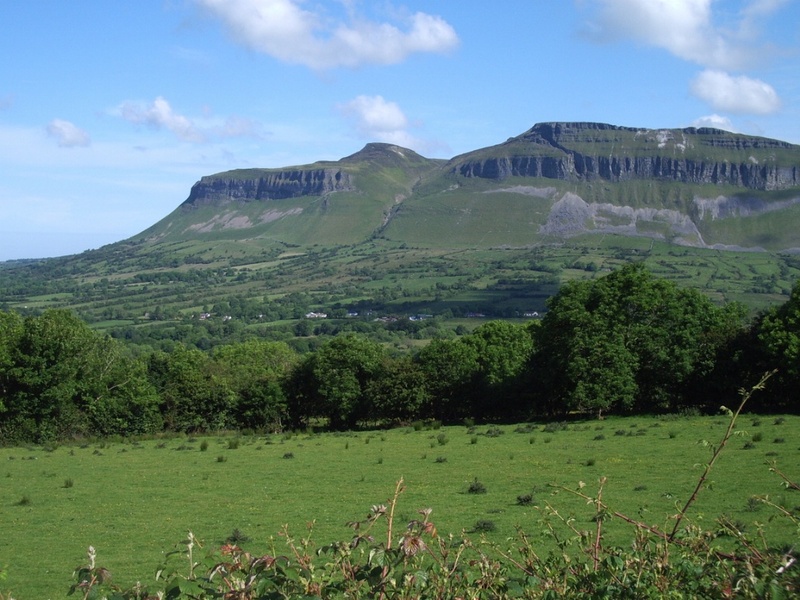 It began with a Ryanair flight from London Stansted to the small regional airport at Knock, in Ireland. Now, a sidenote: Ryanair only allows you to check 16kg of baggage for free, so if you have just stepped off a regular international flight, where your Economy Class baggage allowance is 23kg, then you are going to pay dearly for those extra 7kg. That’s because, at the time of our flight (2009), it was £5.00 per extra kilogram. We were already pre-warned about this, so we travelled with suitcases weighing exactly 16kg. The flight from Stansted to Knock takes about 90 minutes on a BA146 jet. We alighted to meet our ‘mystery’ rental car. 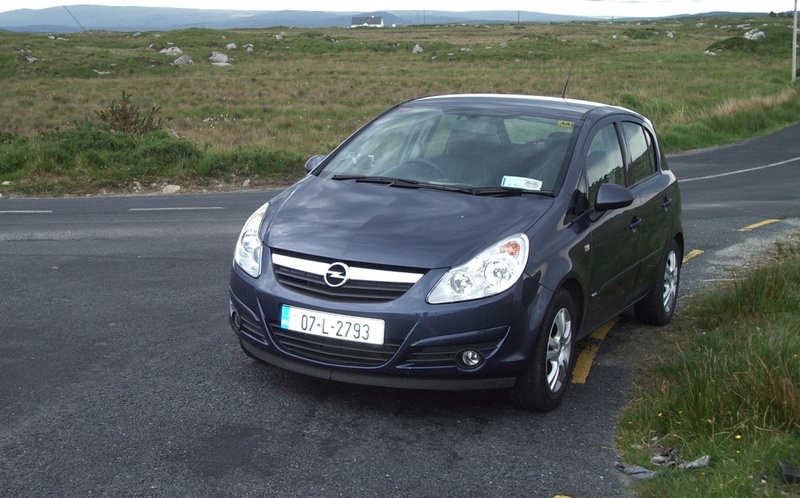 It was a mystery because you have to take what the rental company gives you – there are no second choices. In our case it was an Opel Astra. Our vacation route was very simple. We planned to have lunch in Donegal (113km north of Knock), and then drive circuitously to the airport at Shannon, over four days, to return to London. 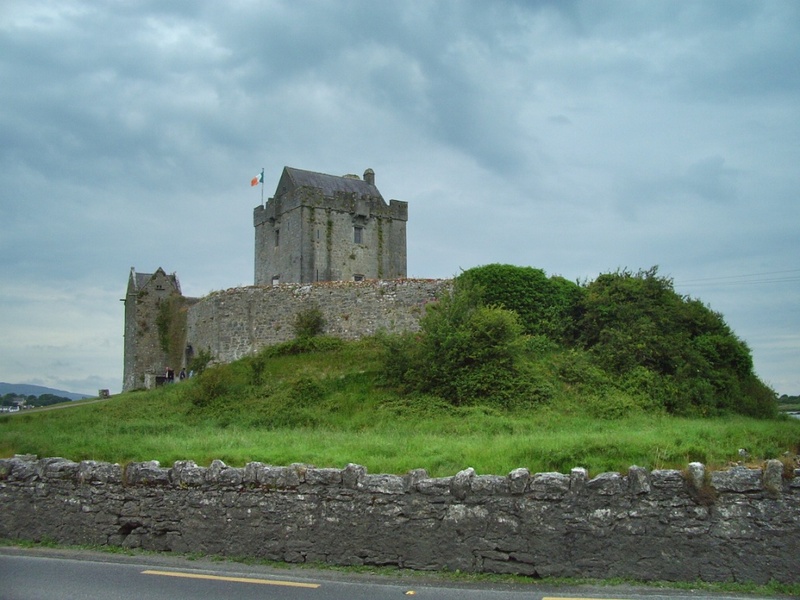 After lunch, and a wander through the town and the region, we departed Donegal for the 165km drive to Westport, pausing in the village of Enniscrone to take a tour of the well-maintained Enniscrone Castle. According to Google Maps it should take about 2.25 hours, but we made it last all day. 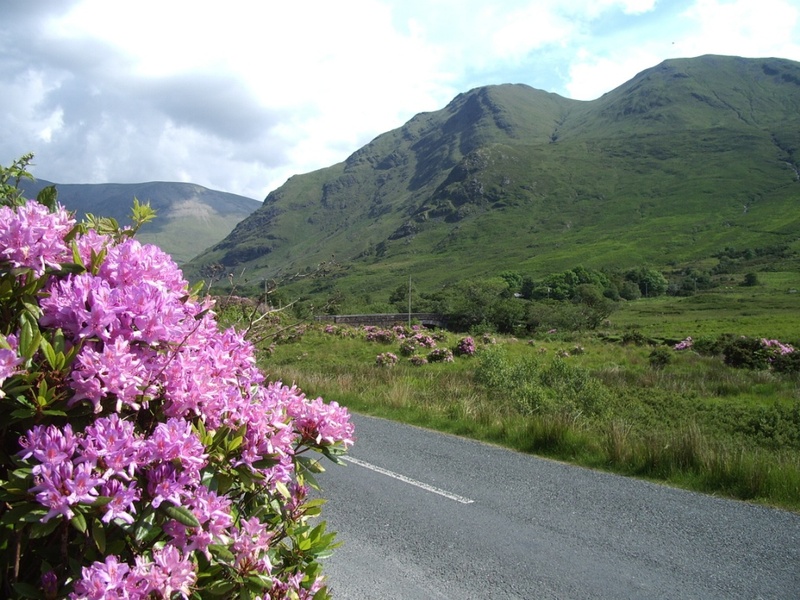 The inland and coastal scenery is spectacular. You must stop, and just take it in. 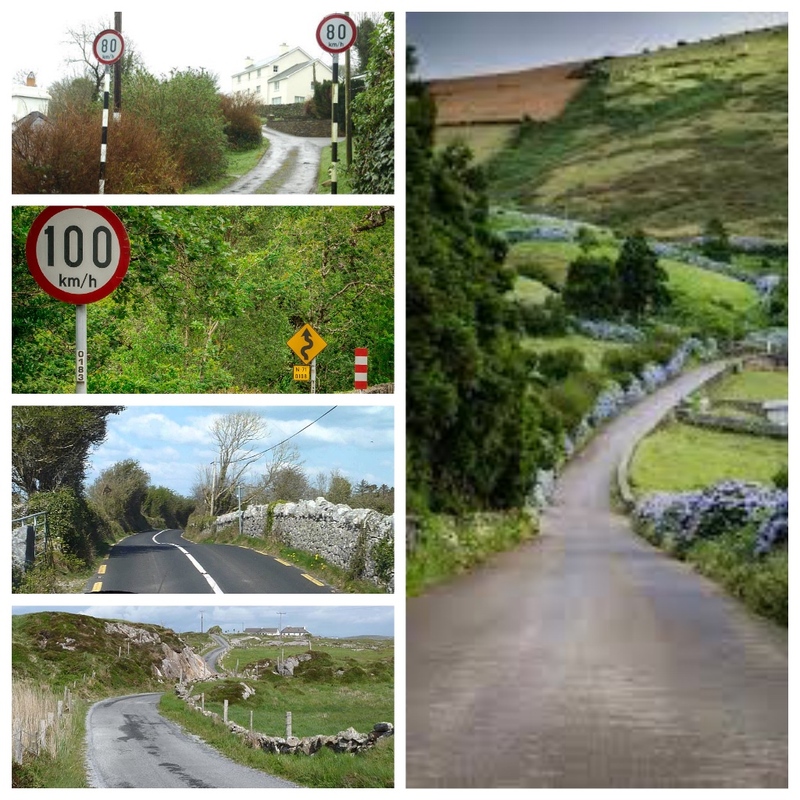 One of the most amazing things about Irish roads, are the number of narrow, bitumen roads assigned a speed limit of 100km/h – believe me, when you meet a local travelling towards you at 100km/h – it’s scary! 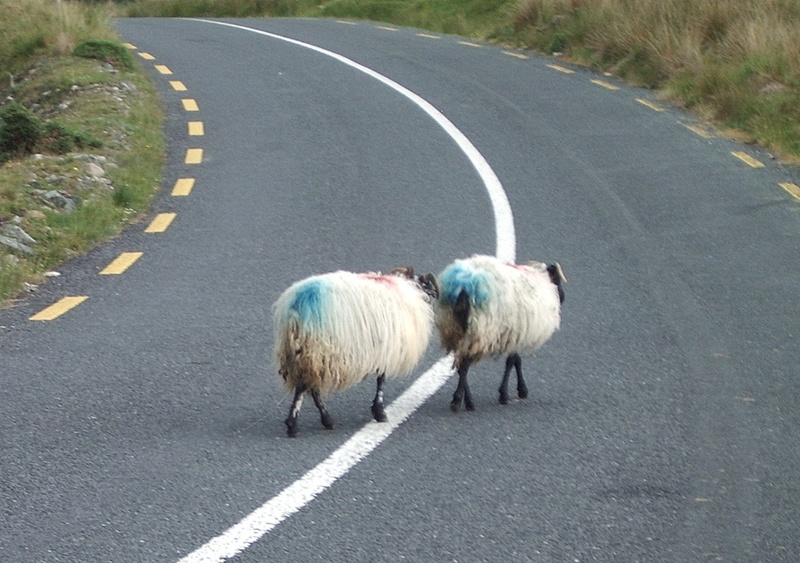 Also among the locals are a lot of pedestrian sheep - you have been warned! Westport has a great range of pubs and restaurants, but we settled for fish’n’chips at Matt Molloys’ pub, which had a jovial and welcoming atmosphere. 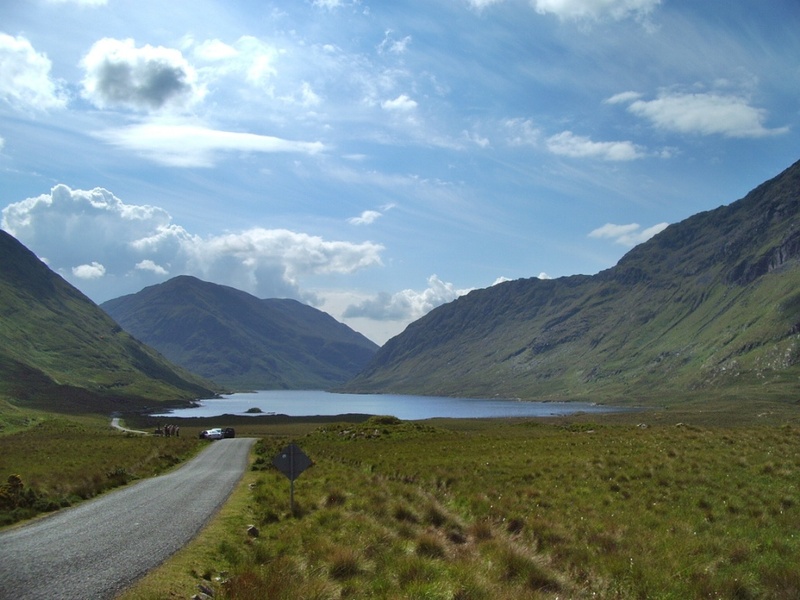 Our next overnight was in Galway, a short 100km, and just 1.75 hour’s drive, but once again, with stops for interesting scenery we made it last almost a day. 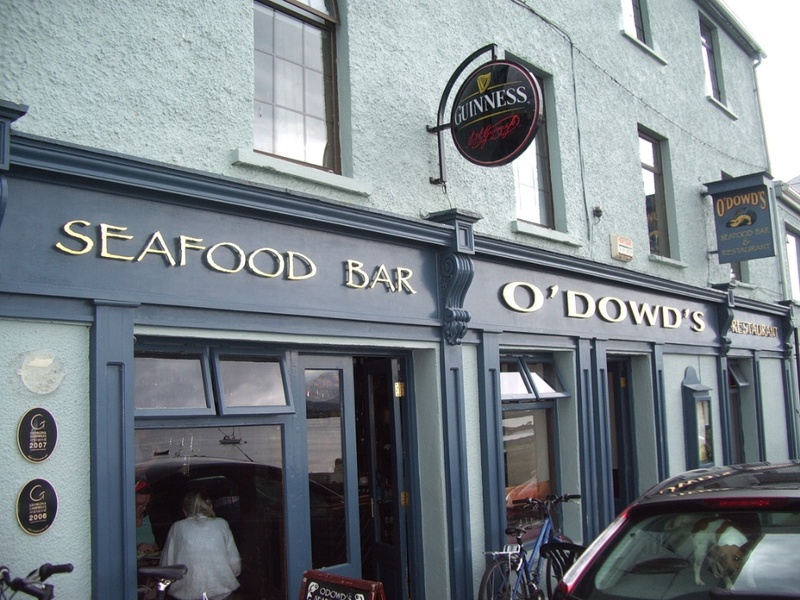 We had lunch at O’Dowd’s seafood bar in Roundstone, along the way. Our view of the harbour revealed peace and calm, but the locals told us Atlantic storms batter the breakwater, relentessly. 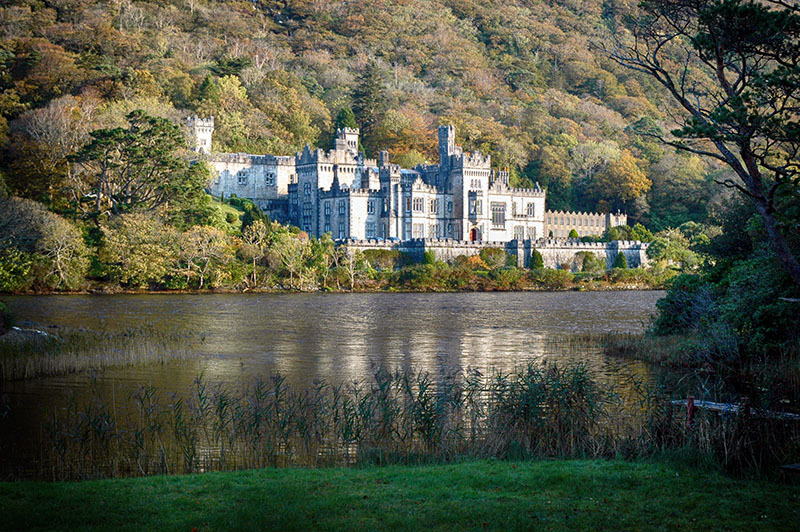 We sidetracked to the magnificent Kylemore Abbey, on the edge of the Connemara National Park. 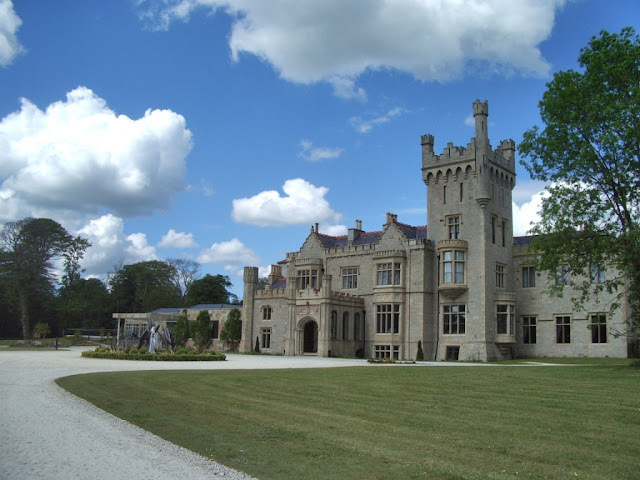 It is a magnificent edifice, with a great history. 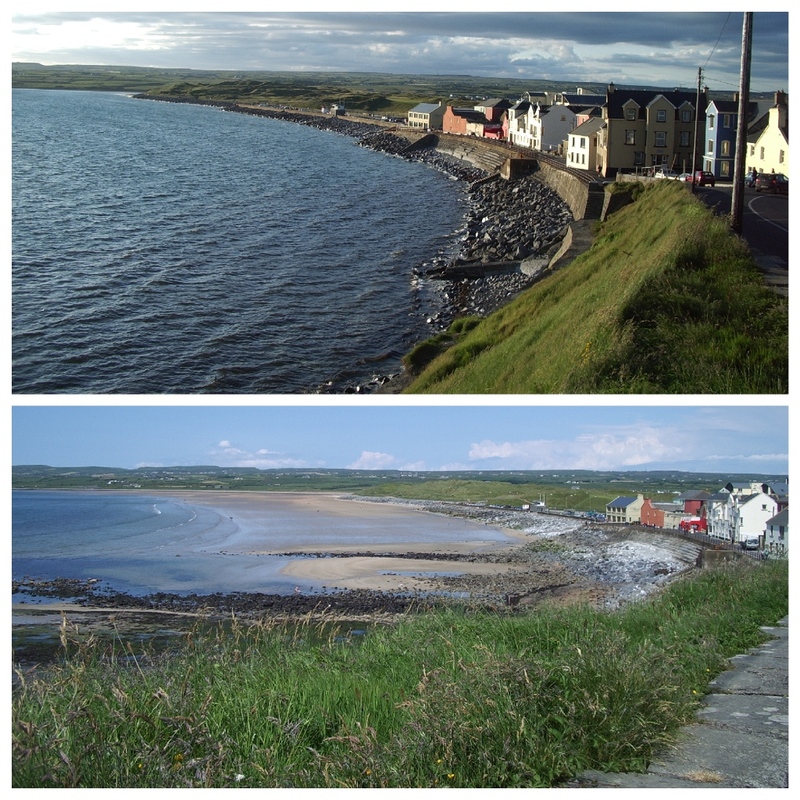 We then took the 75km drive to the coastal town of Lahinch, which has four, fabulous, Grade 1 golf courses, and one of the most famous tidal changes in Ireland, and I present the photographic evidence below. Lahinch, despite its famous golfing attractions, is a tiny town, so once again we ended up in the pub for dinner, which was a magnificent presentation for a humble corner pub. 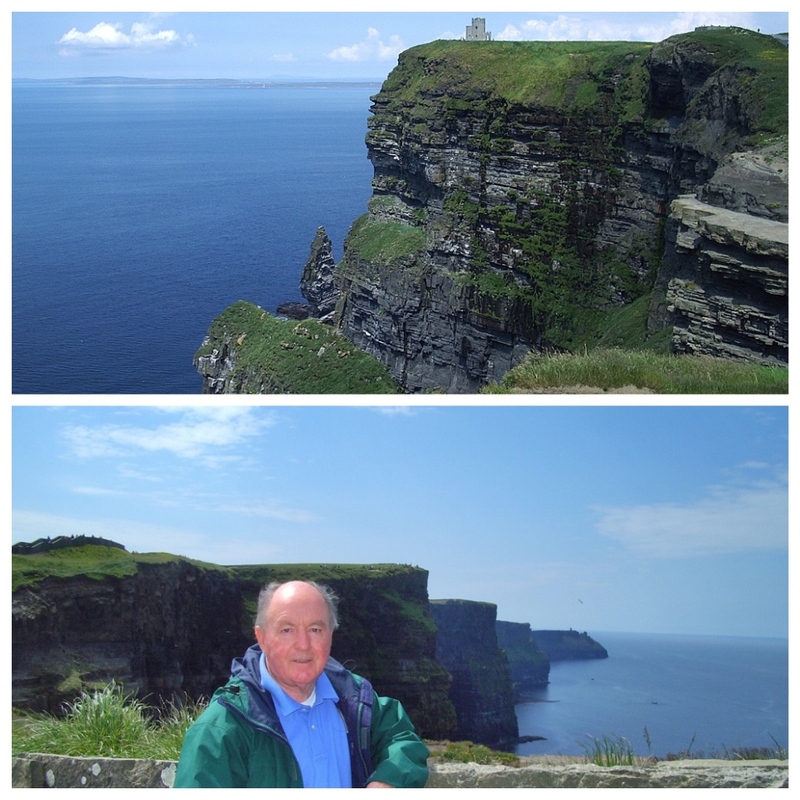 Next day we took the short, 20km drive south from Lahinch to the Cliffs of Moher, one of Ireland’s most famous spectacles. 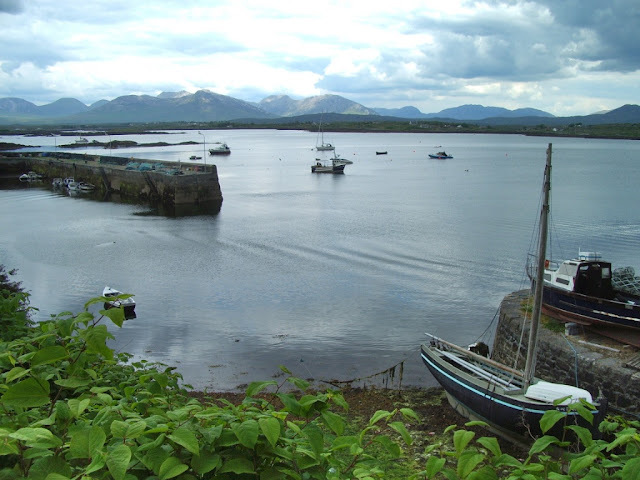 The coastline is spectacular – rough, rugged and pounded by the North Atlantic Ocean. 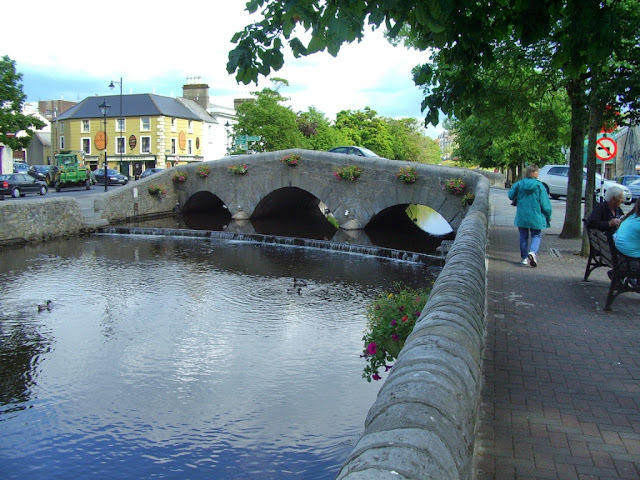 From there we headed for our overnight B’n’B in the village of Ennis. It was a typical village, with more pubs than restaurants, so needless to say we ended up having dinner in Dan O’Connel’s Bar in Abbey Street. 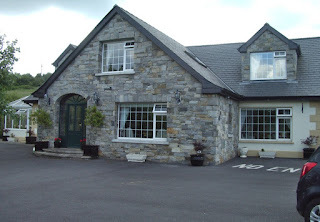 After a lazy start, and a welcome sleep-in, next day was an easy 40-minute drive to Shannon airport to drop off the rental car and catch our flight to Gatwick. Strangely, no-one checked our passports in Shannon, and no-one checked our passports at Gatwick. I’m sure those border checks are now more stringent. However, in retrospect, I am sure you could easily take a week or two to really ‘discover’ the Republic of Ireland. It’s beautiful, with a great history, and many more places to visit than we did over just four days. 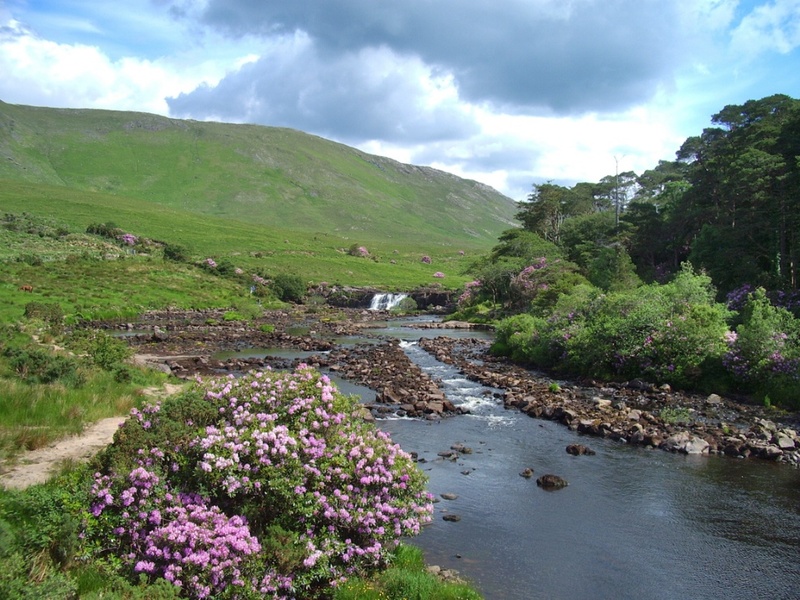 Ireland is the size of a postage stamp, so it’s not hard to capture all of its beauty in two weeks. Not only that, the beer is great, and the fish’n’chips are fabulous. 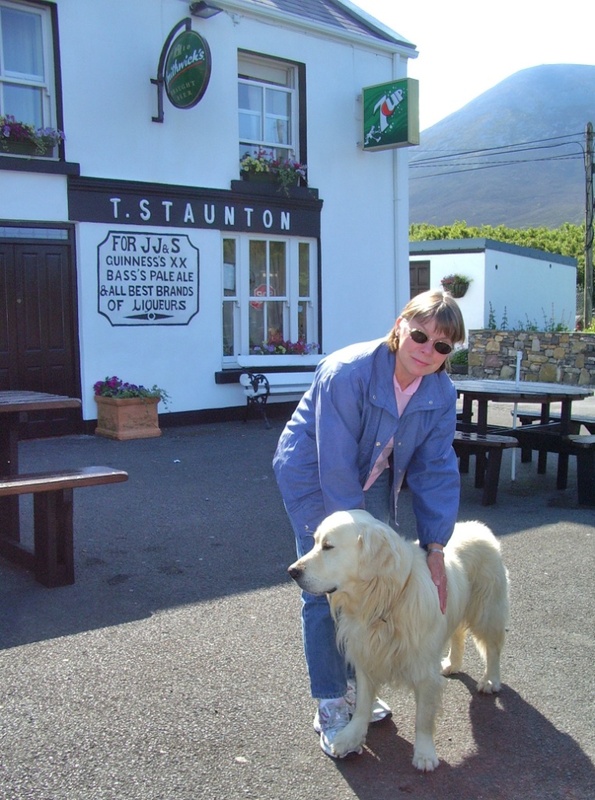 The people are fun too, although sometimes a bit on the boisterous side when they’ve downed a few too many Guinness’s. As I've said, the locals are very friendly - this fellow planted his front paw firmly on my wife's foot to ensure she didn't stop patting and leave. 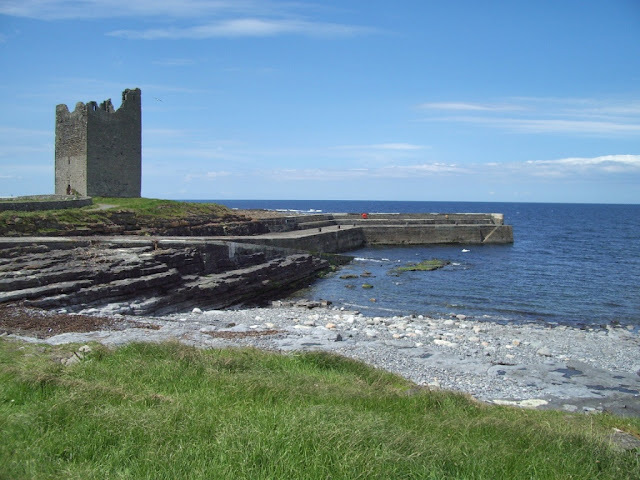 Ireland is a great place to amble and discover its fascinating history. Great scenery, ruined castles and not much traffic. In fact as vacations go, it's an ambler's paradise.